The View from Mars | Worldbuilding Rules! What’s it like to stand on the surface of Mars and look around? The nearest most of us will get to experiencing this is to spend time with the new panoramic images coming from Curiosity and its fellow robots. Spirit and Opportunity have sent back equally stunning images during their missions. Here’s a NASA page linking to panoramas from both. 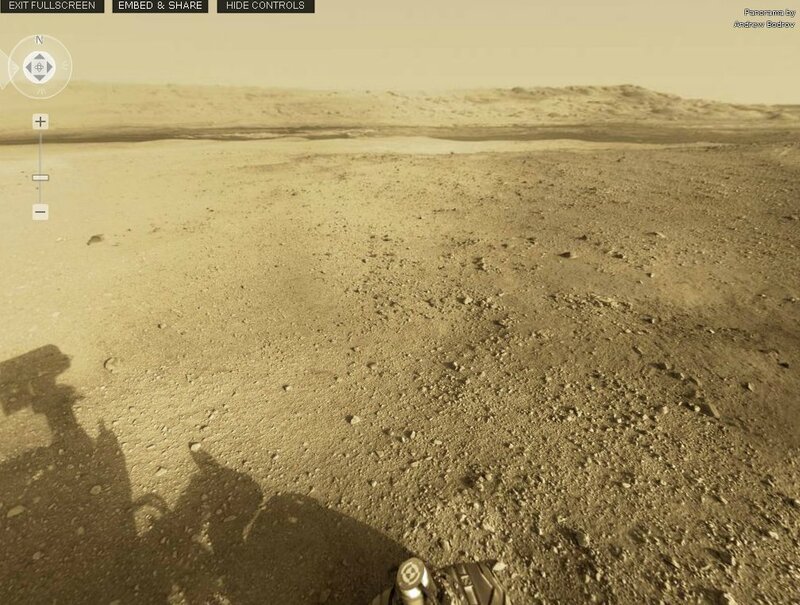 My current favorite is Opportunity’s Greeley Haven panorama from this past winter. Someone has made an interactive panorama of this as well.